‘Managing impulsivity’ is intrinsic to the origin story of the Habits of Mind. In 1981, while editing Developing Minds for ASCD, I requested contributions from leading thinkers in cognitive psychology and philosophy from around the world. I invited them to share what they perceived to be the defining attributes of successful people in all walks of life. From Ruben Florenstein in Israel I received, “thinking before one acts”; Edward de Bono in Malta, “collecting all facts before making a decision”; David Perkins at Harvard, “refraining from hasty thinking and action”. They were clearly all saying the same thing: the ability to manage one’s impulsivity is an attribute consistent in people who are professionally and personally successful. From this understanding, Dr. Bena Kallick and I began compiling our list of the defining dispositions of effective thinkers and problem solvers—and thus, the Habits of Mind were born. Our guiding theory has remained constant: when we habituate children to these attributes while they’re at a formative age, we set them on a path toward greater success throughout their lives. The ability to persist, to think interdependently, and to carefully consider one’s words before speaking are skills that are not optional in any professional or interpersonal environment. The children we teach now are to become the world’s problem solvers tomorrow; it’s our job to prepare them to resolve global issues that we cannot even yet conceptualize. I’ll admit—I never expected the ideal vehicle for that preparation to be animation. But working with Dr. Kallick to create the Habits of Mind Animations has been eye-opening. Repetition is the key to instilling a habit, and we know that children emulate individuals they trust, including fictional characters. The potential of educational animation couldn’t be clearer to me now: I watch my great-grandchildren enjoy the same cartoon 100 times over, and while I’ll never admit to envying Elmo, I’ve accepted that among my primary rivals for their trust is a fuzzy red puppet. As it turns out, that puppet and I tread common ground: we each play an important role in guiding my great-granddaughter and great-grandson to become empathetic and kind people. Here is perhaps the most important aspect of teaching social-emotional skills in young classrooms: you level the playing field for the children in your care. Factors such as low social class, unskilled parenting, and low IQ predict the sort of adult that a child will grow to become, and unfortunately, they lie entirely outside the control of the child or his teachers. Not so with the Habits of Mind. How to manage your impulsivity - to refrain from hasty action, to calm yourself when angry, and to carefully choose your words—is something that we can teach, and that children readily learn. Research has determined self control to be as or more impactful a predicting factor of adult outcomes as intelligence and social class. Low self control as a child is directly related to health problems, addiction, poverty, unskilled parenting and criminal record as an adult. On the other hand, self-discipline is twice as powerful a predictor of academic success as IQ; and initiatives to teach effortful control have been found to positively impact children’s enjoyment of school, their performance in the classroom, and the positivity of their interactions with both peers and teachers. Self control is a mental muscle that children strengthen through exercise. Dr. Kallick and I are thrilled when teachers report that the HOM Animations compel their students to work these muscles. As children watch animated Peter, Dee and Chris (all 7 year olds) make mistakes and correct for them, they learn the value and practical applications of the Habits—and they want to practice them, too. It’s worthy to note that this instruction on impulse control drops a load of work off of teacher’s shoulders. A class of thirty 1st graders, each experiencing a hundred “Wiggle! Whisper! Poke!” impulses a minute, can be likened to a game of Whac-A-Mole: the teacher is constantly combating ‘pop ups!’ of misbehavior. 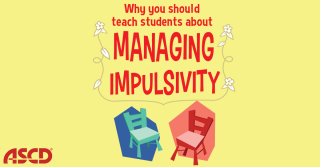 But teach these students about managing their impulsivity, and suddenly your classroom becomes headquarters of the Good Behavior Police; students monitor one another. Teachers using the HOM Animations tell me that like the animated characters, their students remind each other to practice the Habits, and eagerly apply them to daily situations. They also bring them home, and not just in the form of print-outs or extension lessons: one parent informed me that her bout of road rage was met with her 2nd grader’s calm instruction to “Manage your impulsivity, Ma”. Seeing the HOM Animations become routine in classrooms and improve their social and learning environments has been very exciting for me and Dr. Kallick. It especially gratifies us to provide teachers with a program that facilitates their engagement with the students who need them most: at risk children, and those who are exhibiting problem behaviors. The Habits do not only reflect the attributes of successful people; they frame the qualities of people who identify as lifelong learners. Children enter Kindergarten with wonderful questions, creative imaginations and a passion for learning about the world around them; and yet by the time many of them reach middle or high school, they have lost those aptitudes. Some things can be recovered in this life, but a zest for learning is not one of them. It must be nurtured and maintained, and that is a capacity that Dr. Kallick and I believe children gain through instruction in the Habits of Mind. With the Habits as a foundation, children are armed with an arsenal of strategies with which they will persevere through and transcend life’s challenges. Hopefully, we can teach them not only how to be effective learners, but how to remain in love with learning, as all the most successful people are. Arthur L. Costa is professor emeritus of education at California State University, Sacramento, and co-founder of the Institute for Intelligent Behavior in El Dorado Hills, California. He has served as a classroom teacher, a curriculum consultant, an assistant superintendent for instruction, and the director of educational programs for the National Aeronautics and Space Administration. He has devoted his career to improving education through more “thought-full” instruction and assessment.